Lucy & Matthew had a beautiful winter wedding in Sheffield. Lucy looked amazing in her dress and the bridesmaids excitedly gathered around before heading off to their local church in Crookes where Matt was nervously waiting. After a lovely ceremony there was plenty of enthusiastic confetti throwing and the happy couple headed off to Whirlowbrook Hall for their reception. Despite the cold the weather was lovely for photos outside with the winter sunshine. In the evening guests tucked into their food and listened to the funny speeches before the dancing started in earnest! 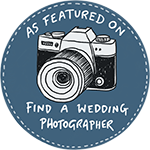 Paul & Helen are Lake District wedding photographers photographing weddings in a relaxed, natural style in Cumbria and the Lakes. They also return throughout the year to photograph weddings in Sheffield and the Peak District.